For many small firms, getting their products onto the shelves of the major supermarkets is the Holy Grail. Such a move can transform their company - be it a food and drinks producer or maker of other consumer goods - enabling them to grow substantially. Yet even contacting the big grocers can be seem a daunting prospect for small businesses, such is their size and buying power. And how can a small firm aim to compete against their multi-national rivals, who provide units by their million backed, giant advertising campaigns and the ability to substantially discount? Here, three small companies who have successfully cracked the big supermarket explain the secrets of their success, while Sainsbury's and Waitrose offer some tips of their own. 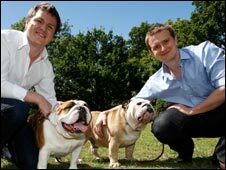 "To start with, you have to have a good product," says Rhodri Ferrier, 30, co-founder of London-based male grooming products firm Bulldog. "If you don't, then no amount of persistence and effort will work." Established in February 2006, Bulldog's range of all-natural cleansing, moisturising and shaving products is now stocked nationwide by both Sainsbury's and Waitrose. "It is vital in the first instance to find out who is the buyer at each supermarket for your particular sector of products," says Mr Ferrier, whose firm employs just four people. "We were able to get the name for the right person at Sainsbury's and arrange a meeting. It is a case of being persistent. "The conversations went really well and we submitted our products. It then went really, really quickly from there, and we were on Sainsbury's shelves within about seven or eight months." At Welsh baker Tregroes Waffles, which employs 12 people in Carmarthenshire, they started by winning over the store manager of their local supermarket. "If the store manager likes your product, and it is available at a good price, then he or she can give you the contact details for the buyers," says Sue Berry, the firm's sales and marketing manager. "It all comes down to three things - a good product, at the right price, and with the right target market. "Get that right and you can be successful. Get it wrong and you are on a very sticky wicket." With its products now on sale in the Welsh branches of all the main supermarkets, Tregroes Waffles has also been given shelf space in all of Waitrose's UK stores. "We were very lucky, they loved the product," adds Ms Berry. "But at the end of the day, it is all about whether it sells." Yet, even having the right product at the right price is no good if you don't have the systems in place to supply the quantity that a supermarket wants. "If you can't meet an order then you are toast," says Bulldog's Mr Ferrier. "There is nothing worse for a supermarket than a product running out. Any empty space on the shelf reflects very badly on them, and you get very few second chances in this business." For that reason, Mr Ferrier says it is vital you get your supply and distribution chain firmly in place. "You have to do your homework. What we did before our first meeting with Sainsbury's was ensure we knew which were the main logistics firms they used," he says. "Arrange to use one of them too, and it can really increase a supermarket's confidence in your ability to deliver. "This is fairly easy to find out. You can simply look on the internet, or speak to other small firms about which logistics firms they use." For small firms in the drinks sector, such as the Buckinghamshire-based Rebellion Beer Company, there is no point trying to pitch bland canned lager to the supermarkets. For this, the supermarkets go the global brewing giants and their discounted multipacks of well-known brands. Instead, small brewers have to offer the store artisan bottled beers and ales with unique flavour and all-natural ingredients. "A lot of small brewers are naturally frightened off by the low price points that the supermarkets demand," says Rebellion's co-founder Tim Coombes. "But at the same time, most of the supermarkets have greatly increased their range of British bottled beers in recent years, so there are opportunities to break through with the increased focus on local producers." 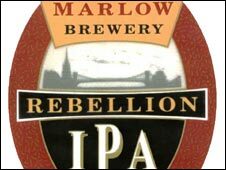 Having succeeded in getting Rebellion's beers in Waitrose stores in the south of England for about 10 years, Mr Coombes' advice is fairly simple: "Make sure your product is of as high a quality as possible, but at the same time don't price yourself too steeply." For many small firms thinking of approaching the supermarkets, the thorny issue of negotiating the wholesale price they pay can seem daunting. Yet as Mr Ferrier explains, research and common sense can be all you need. "Just do your research. Understand what are the typical margins in your category and aim for that," he says. 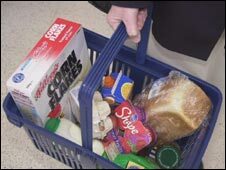 "The supermarkets obviously want to maximise their margin, but they also understand that there is no point in beating you down to an unsustainably low price. "After a reasonable negotiation, you can come to a price that is sustainable for each party." Ms Berry agrees, adding that it always helps to be positive in the negotiations - "smile, hold your head up". "Just don't expect any special favours simply because you are a small firm. We are all in business to make money. "If your product is taken on and it sells then you'll keep getting orders, if it doesn't, then you'll get dropped. It is as simple as that." But what advice do the supermarkets have for would be small suppliers? Waitrose and other supermarkets organise events to help suppliers to meet buyers. Its "Meet the Waitrose Buyer" events are run in association with the UK's regional food group trade organisations, such as the Regional Food Group for Yorkshire and Humber. These trade bodies offer support and advice for food and drink producers in their respective geographical areas. Waitrose holds up to two of these events in each regional food group area every year, giving potential buyers the chance to meet directly with the supermarket's main buyers. Sainsbury's has a similar programme called "Supply Something New". Both companies stress that any new product has to be of high quality, and offer something different to what they already sell. And even if your product is taken on and proves successful, Mr Ferrier stresses that you should never rest on your laurels. "You have got to be ready to meet any follow on orders pretty immediately, and have the working capital in place to bridge any gap between paying your manufacturer or suppliers, and being paid by the supermarket," he says.